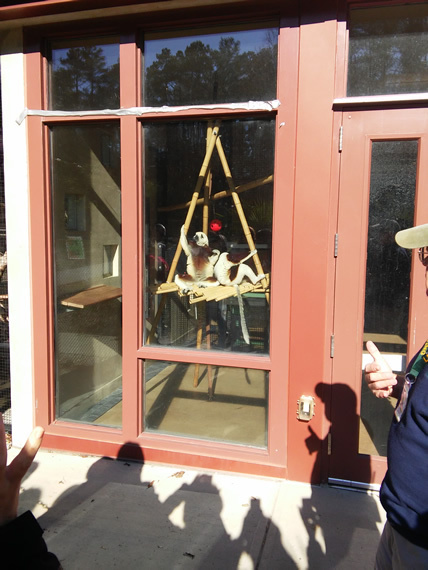 I had the chance to take a tour of the Duke Lemur Center during one weekend morning. Lemurs are our distant cousins from the island of Madagascar, and the Duke Lemur Center has the largest collection of these interesting primates outside of Madagascar. The center is a research facility of Duke University, and the people there observe and study the lemurs. One interesting piece of trivia is that the lemur that played Zoboomafoo in the Kratt Brothers’ TV show of the same name lived at the Duke Lemur Center. Back to my tour, the lemur center is a decent-sized facility. It’s not a huge, but the tour takes an hour or so. We saw a couple species of lemurs along with some other prosimians at the facility. We can only see the lemurs who decide to come out and play in the outside cages. Since I like seeing exotic wild animals, I thought the tour was decent enough. 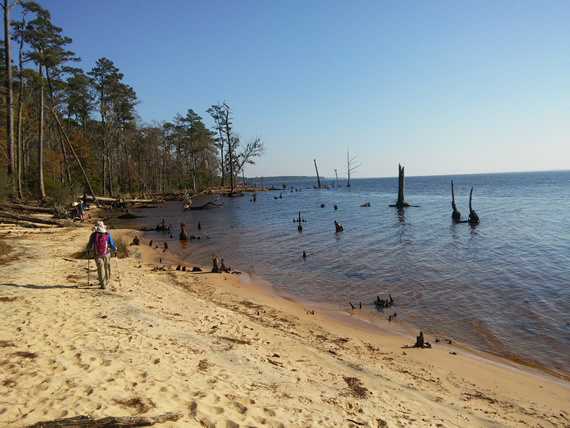 Now for a trip that was a bit further out, I went hiking with a group in Goose Creek State Park. 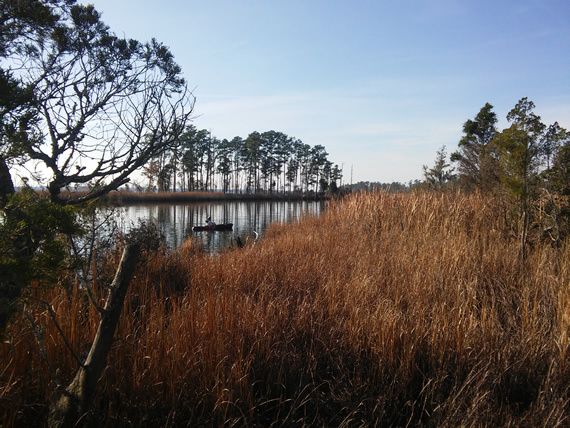 Located on the shores of Pamlico Sound along the coast of the state, this park contains a variety of habitats ranging from forests, swamps, marshes to some sandy beaches. This variety of environment coupled with unusually warm and sunny weather made this a really enjoyable hike. I wasn’t expecting to do much hiking in December, and this place was definitely a pleasant surprise. 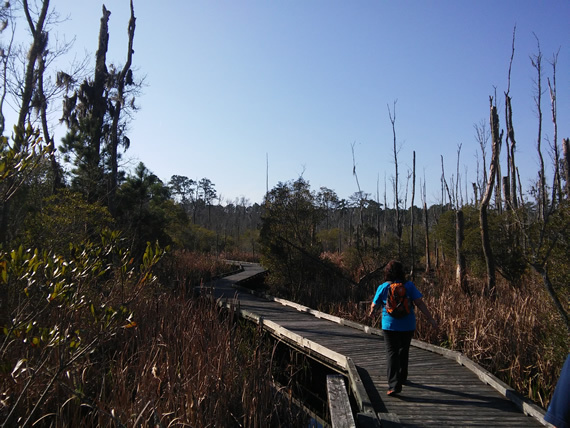 The marshes in Goose Creek State Park. The old royal governor’s palace. It was likely the nicest building in all of Williamsburg back in the old days. Finally, I made an overnight trip even further out to Williamsburg Virginia. 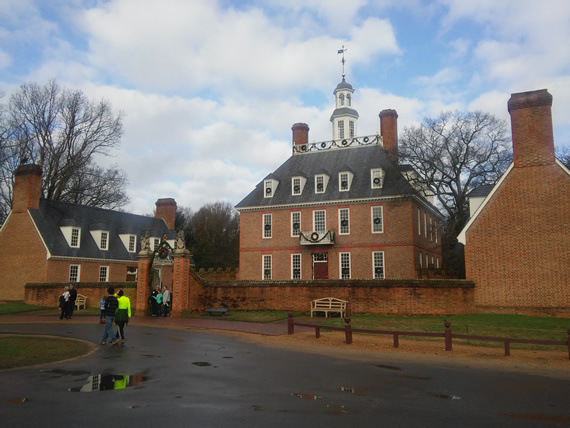 Williamsburg is known for its history stemming from the English colonial days, and it was the capital of Virginia before the capital was moved to Richmond. 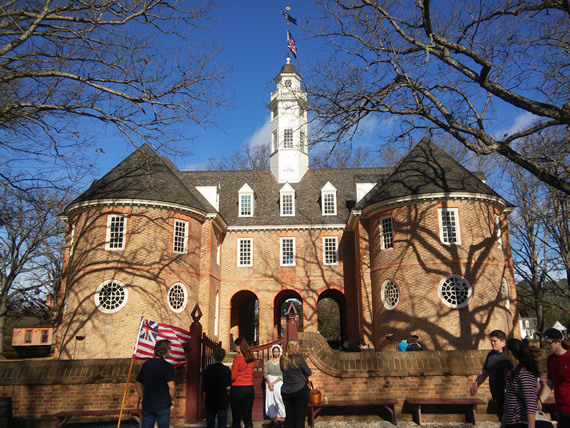 A lot of the historical buildings are located along one street and collectively known as Colonial Williamsburg. 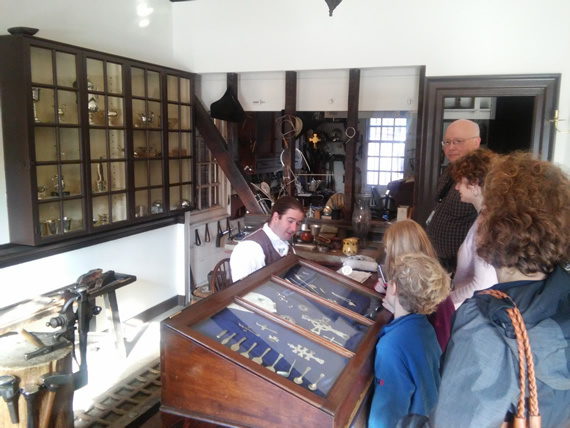 People can walk around for free to see the buildings from the outside and visit the various shops staffed by workers dressed in colonial period costumes, and visitors can also buy a ticket which allows them to tour many of buildings and the art museum. I did that on my second day in Williamsburg, and there were plenty of visitors. It was interesting to learn a bit of American history, and see how things were done in the old days. 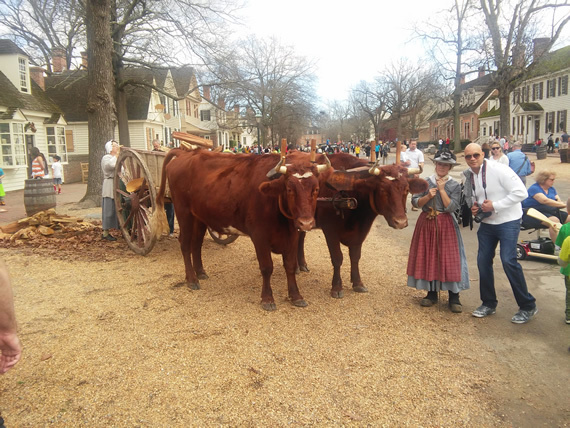 Colonial Williamsburg is large enough that the better part of a day for me to check out all of the places that were open to the public. An ox-cart on the street for visitors to see. 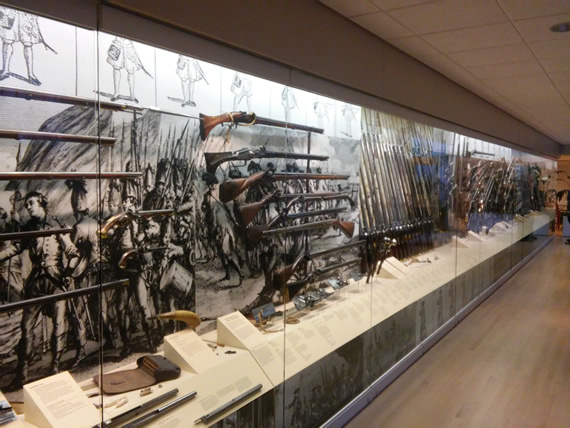 A larger collection of revolutionary period guns at the art museum. 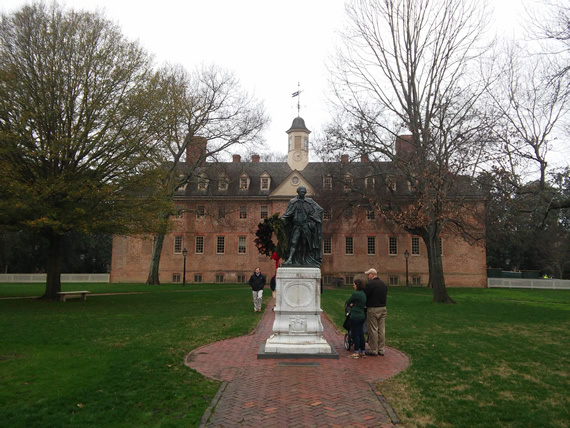 Speaking of history, right next to Colonial Williamsburg lies the College of William and Mary. Chartered in 1693, William and Mary is the second oldest institute of higher education in the United States. I walked around in the campus for a bit. Being the winter holidays, the campus was mostly empty, but the buildings definitely look like they have some history. I like the fact that most of the buildings are made of the sand and orange-colored bricks, so there is a theme for the campus. A singing and dance performance in what was a big food court. Other than the historical aspects, Williamsburg is also known for having a Busch Gardens theme park. In the warmer months, people go to Busch Gardens for the thrill rides. 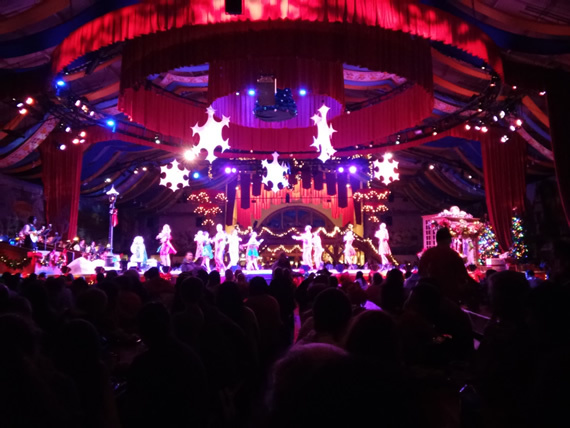 Most of the thrill rides don’t operate in the winter, but the theme park is transformed into “Christmastown” with millions of lights and holiday-themed performances. 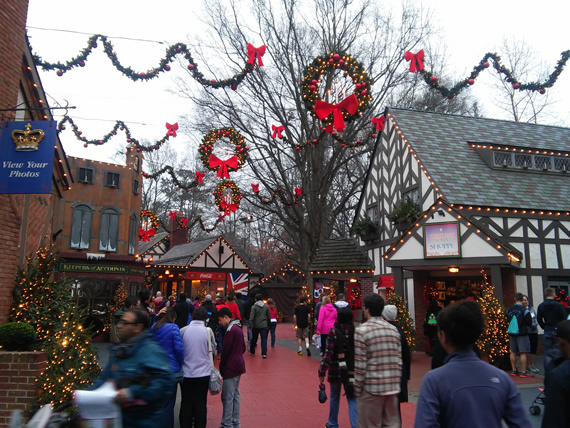 It’s funny that I visited Christmastown after Christmas Day, but the holiday atmosphere is still there, and there were plenty of people enjoying the lights and the shows in the park. I enjoyed my time there as well, and I thought all of the show were pretty entertaining and just the right length (20-30 minutes). 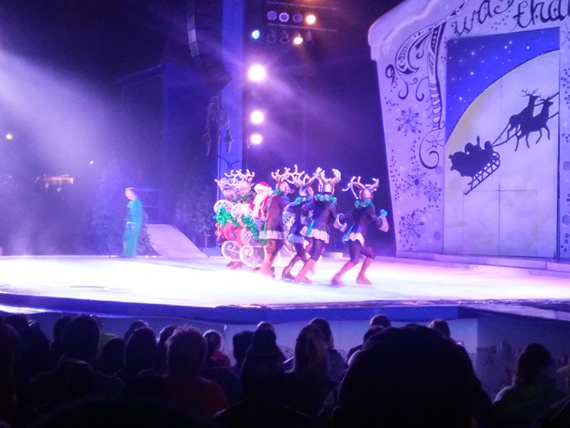 An ice skating show at Christmastown. The guy in the green in the background is Elvis Stojko, a former Olympic silver-medalist and World Champion. I remember watching him compete when I was a kid. 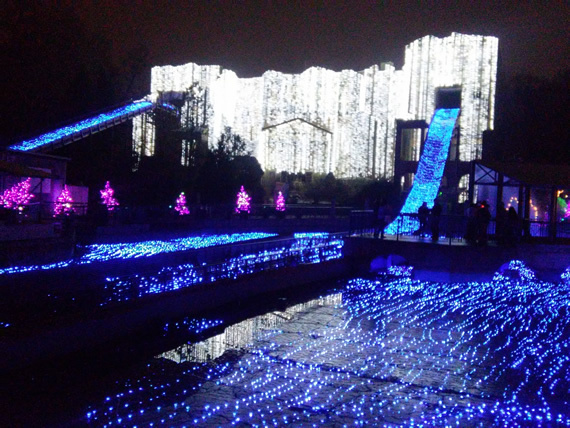 One of the best light displays in the park. 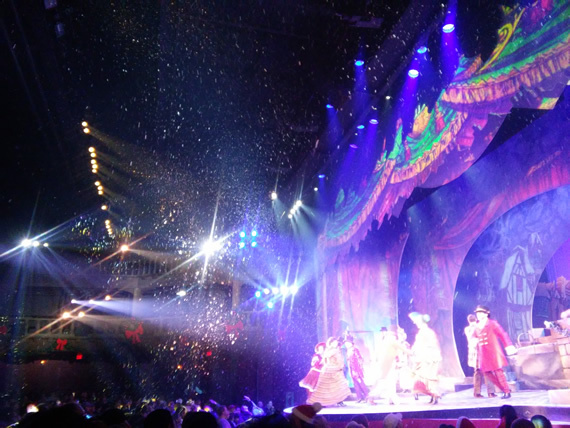 The final show I saw at Christmastown ended with (fake) snow falling from the ceiling. Those were my December highlights in short. A new year brings new journeys and adventures. The first thing for me in 2016 is to recover from my health issues, and after that… who knows? Hopefully good things will happen, and I wish each of you best of luck in 2016.